If you are lucky enough to be able to grow your own lemon tree, chances are good that you have encountered one or more lemon tree problems. 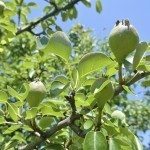 Unfortunately, there are a plethora of lemon tree diseases, not to mention pest damage or nutritional deficiencies that can affect how, or if, your lemon tree bears. 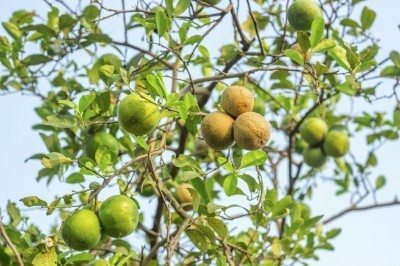 Knowing how to identify lemon diseases and the treatment for diseases of lemons will allow you to take immediate action to mitigate potential negative impact on fruit. Below are some of the most common diseases of lemon with tips for treating them. Citrus canker – A highly contagious bacterial infection, citrus canker causes yellow halo-like lesions on fruit, leaves and twigs of citrus trees. If allowed to progress unchecked, this lemon tree problem will eventually result in dieback, fruit drop, and leaf loss. This disease is spread through the air with the aid of air currents, birds, insects and even humans. Spray with liquid copper fungicide as a preventative for treating citrus canker lemon disease. If the tree is already infected, there is no treatment and the tree will have to be destroyed. Greasy spot fungus – Greasy spot is a fungal disease of lemons whose symptoms include telltale yellow-brown blister on the underside of the leaves. As the disease progresses, the blisters begin to look oily. Treating this lemon disease also requires an application of liquid copper fungicide. Spray first in June or July and follow up with another application in August or September. Sooty mold fungus – Sooty mold is a fungal infection resulting in black leaves. This mold is the result of honeydew excreted from aphids, whiteflies and mealybugs. To eradicate sooty mold, you must first control the insect infestation. Spray the lemon tree with Neem oil insecticide, both the top and undersides of the foliage. You may need to repeat in 10-14 days, depending upon the extent of the infestation. Follow up by treating the mold growth with liquid copper fungicide. Phytophthora fungus – Phytophthora root rot or brown rot or collar rot is caused by the phytophthora fungus resulting in hard dark brown patches on the trunk of the tree often accompanied by oozing from the affected area. As the disease progresses, the patches dry, crack and die leaving a dark, sunken area. Fruit may also be affected with brown and decayed spots. This fungus lives in the soil, especially wet soil, where it is splashed up onto the tree during heavy rain or irrigation. 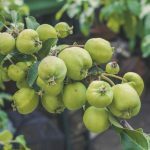 To treat, remove all infected leaves and dropped fruit from the ground. Prune the lower branches from the tree, those that are more than 2 feet from the ground. Then spray with a fungicide such as Agri-Fos or Captan. 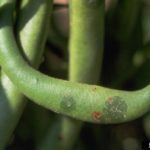 Botrytis fungus – Botrytis rot is yet another fungal infection which may afflict lemon trees. 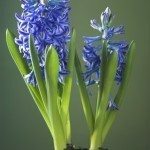 It tends to develop after prolonged rainy periods, usually along the coastline, and moves from old blooms to newly developing blossoms in the spring. For this fungal infection, spray the lemon tree with a fungicide according to the manufacturer’s instructions. 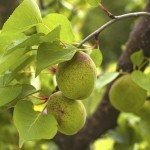 Anthracnose – Anthracnose is also a fungal infection that causes twig dieback, leaf drop and stained fruit. It is caused by Colletotrichum and is also more common after prolonged periods of rain. As with Botrytis, spray the lemon tree with a fungicide. 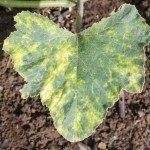 Consult your extension office or a reputable nursery for information on these diseases and how to combat them. Most importantly to prevent not only disease but other lemon tree problems, be sure to be consistent with your irrigation and feeding schedules, and monitor for pests and treat accordingly at the first signs of infestation. Also, keep the area around the lemon tree free from debris and weeds that harbor fungal disease as well as insects.